The heartless illegal act of the Internet spoils the life of the writer. 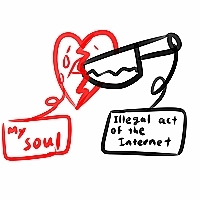 The heartless illegal act of the Internet spoils the delicate heart of the writer. A soul to creation is lost.